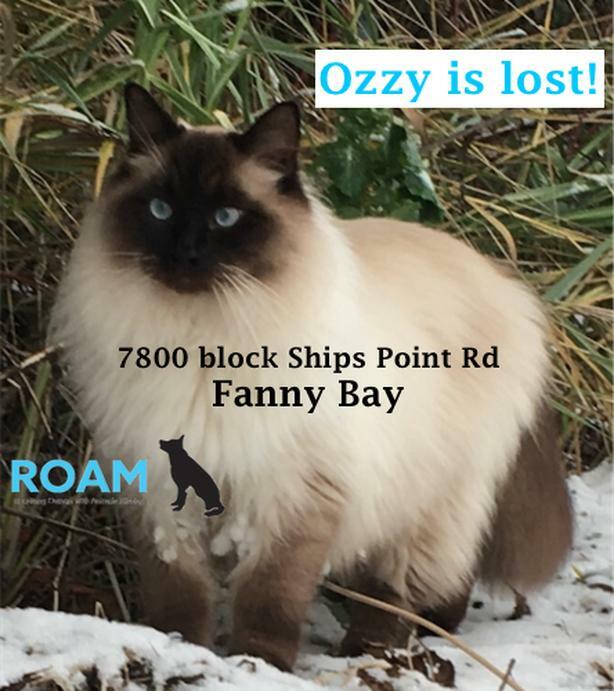 Ozzy is lost in Fanny Bay!! Likes, fears, temperament: Loves food, people. Hates loud noises and moving vehicles. Very friendly.